We can say that cooling and heating can account for half of your electricity bill. Do you know that there are several ways to minimize it. If you have a Harbor Breeze ceiling fan in your home then you can save up to 40% of the energy bill. 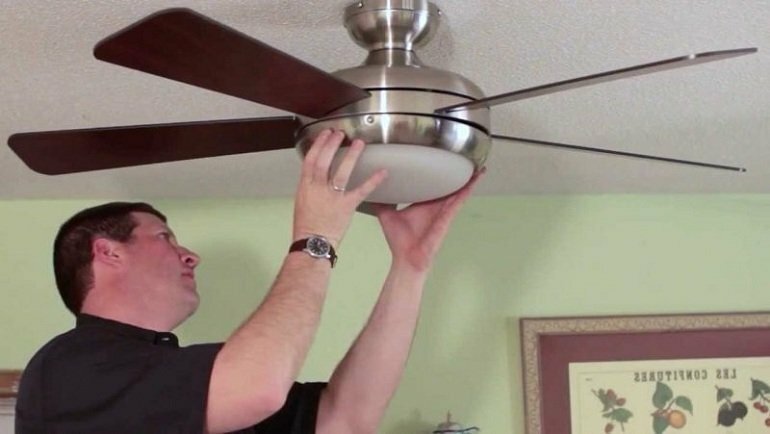 It is an easy task to install a ceiling fan and you will run it in exchange of AC. Additionally, the customer can run it with the furnace. After following both activities, you can save forty percent of the energy bill easily. You have to collect several tools in order to install a ceiling fan on your own. First of all, decide the size of a ceiling fan which you will buy for your sweet home. It depends on the wall of your room if it has a 12 feet wall then use a 36-inch fan or smaller. If the longest wall of your room is 12-15 feet then go for 42 to 48-inch fan. Lastly, if you have the longest wall more than 15 feet then 52-inch or larger fan is recommended. You have to go through the instructions before installing it. In addition, you may need a permit to install it, it depends on local building codes. You should do proper research in advance. After getting ready you should turn off the main power breaker first. Make sure that there should not be a hot lead and check it with a wire tester. In a nutshell, make sure that electricity is not running through the line. After shutting down the power, remove the existing fixture from the ceiling. If your existing box to which the fixture is mounted to is made of plastic then exchange it with a steel box. If the steel box is not attached well then you may need an expandable mounting bracket too. Use mounting screws to secure the bracket to the ceiling electrical box. After doing it, assemble the fan. Then pull the wires down through the canopy and downrod. After doing it, now insert the rod into the housing. Use connector pin and counter pin to secure the downrod to the housing. Then tighten the set screw on the side of the downrod. Lift the assembled unit to the mounting bracket and you need an extra hand too to complete it. After doing it, connect the green ground and white neutral wire to the same color in the ceiling box. If your fan has a light kit then you will attach both remaining wires with the same color in the box. Use electrical tape to secure the wire connectors. Push the wires into the electrical box. Seat the canopy then secure it with the screws which came with the fan. After securing motor, now mount the fan blades with the screws and washers which came with the fan. In order to install the light, you have to follow the instructions. Lowe’s also provides installation services.